Weissmies 4023m from Weissmies Hut - Saas-Fee Guides - The mountain guides of the Saas-Fee valley. If you mastered the Allalinhorn then you are ready for the Weissmies. After the overnight stay in the Weissmies hut on 2726m, you will start in the early morning with the ascent to the Weissmies summit. The trail leads you through towering seracs and passes through a glacier wonderland before cresting on to the final ridge. 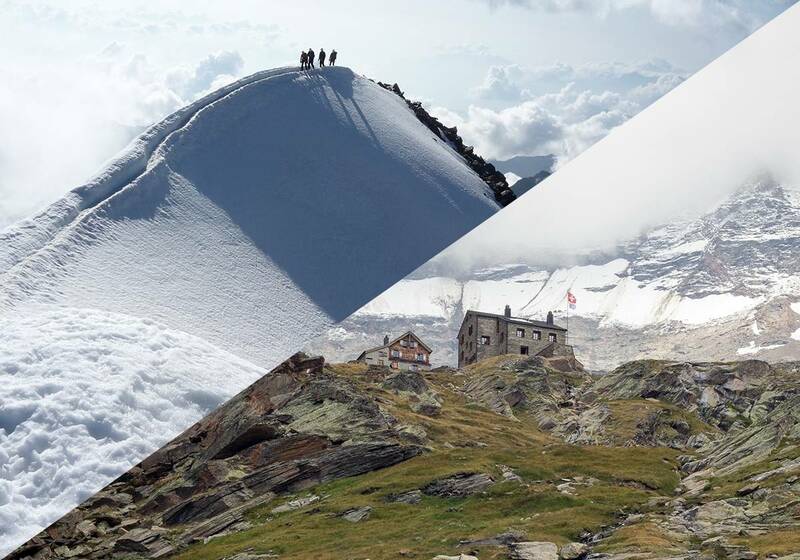 Your efforts will be rewarded with a breathtaking view spanning from the summits of the Bernese Oberland to the Monte Rosa and all the way to the Bernina Massif in the eastern part of Switzerland. The Ticino Lake and Italy greet you in the distance.